Today, I'm super excited to introduce you to a little piece of Nashville -- Sisters of Nature. 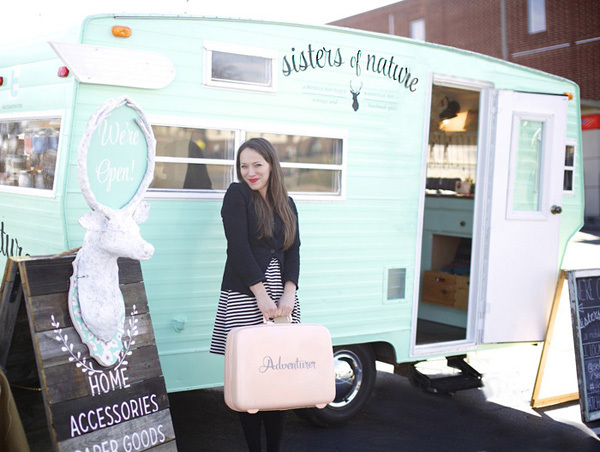 Sisters of Nature is a mobile boutique offering vintage and handmade goods - basically a collection of some of the cutest, most lovingly-made stuff on earth. 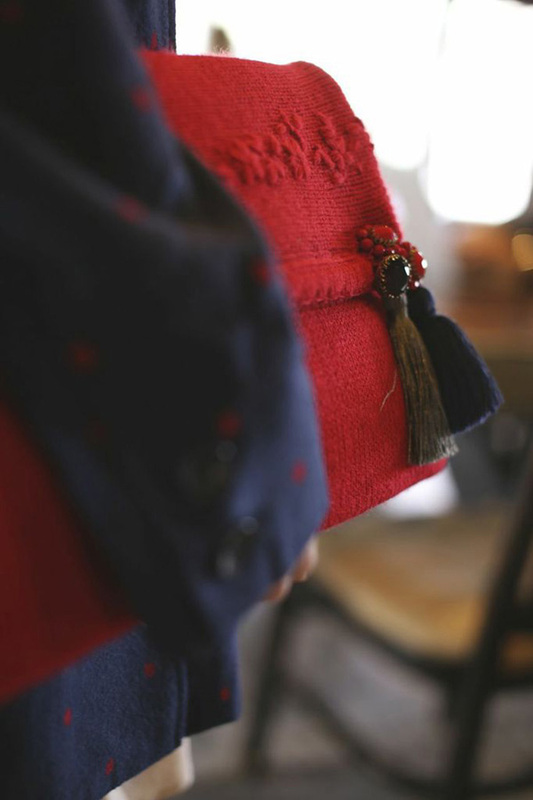 The boutique is the brainchild of Kimberly Parker, and today, she is sharing a little backstory on the boutique, her inspiration, and her creative process. In exchange for your undivided attention (and a few social media follows), she's offering up one of her handmade creations -- the Roxburgh Clutch. If you're reading this blog, I know you like a clutch. Also, show a little love to John Hillin Videography for the amazing photos and Vera & Harper for the gorgeous styling. I'm Kimberly Parker, handbag designer, DIYer, and owner of Sisters of Nature mobile boutique. I have been making handbags for over 15 years. I know that’s hard to believe since I’m not quite 30 yet, but it’s always been in my blood. I remember being a teenager and riding my bike to local boutiques to pitch my handbag collections. Sometimes it worked and they would sell my line of bags and sometimes they would just laugh at me because I didn’t know the difference between wholesale and retail. My mother first taught me how to sew when I was...well before I can even remember. People lovingly called her “the bag lady” because she was always making little totes, filling them with homemade sourdough bread, and taking them to people who needed a little cheering up. I have fond memories of her sitting behind me and coaxing me along as we’d have to stop every few minutes for her to detangle the mess I had made of the bobbin. Really it was her belief in me and her constantly saying, “Kimberly, you NEED to start a business,” that led me to actually doing it. Today, I create and sell my handbag line along-side many other talented makers and indie designers in my mobile boutique in Nashville. Each of the bags I create are all unique and have their own personality. I sometimes like to imagine the woman who will use it and all the fun places she’ll go with it. I can’t wait to see where our mobile boutique goes next and I hope you’ll stay in touch so you can see where we go too. Thanks for letting me hijack Fabric Paper Glue for a few moments. Now go out and be creative! Use the widget below to follow Kimberly and the Sisters of Nature boutique on Facebook, Twitter, and Instagram. Each follow gets you one entry towards winning the amazing clutch you see in the photos above. The giveaway closes next Thursday evening. Thanks so much! Awesome giveaway! Did all 3 !